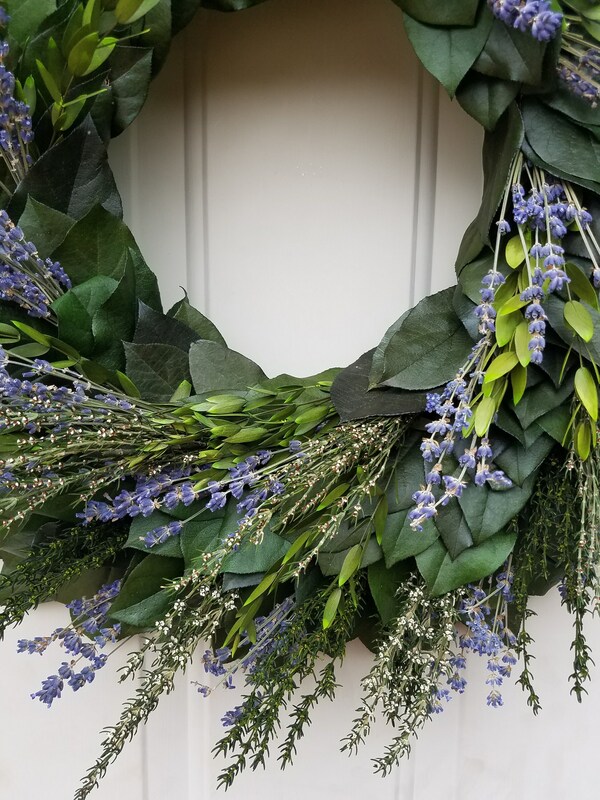 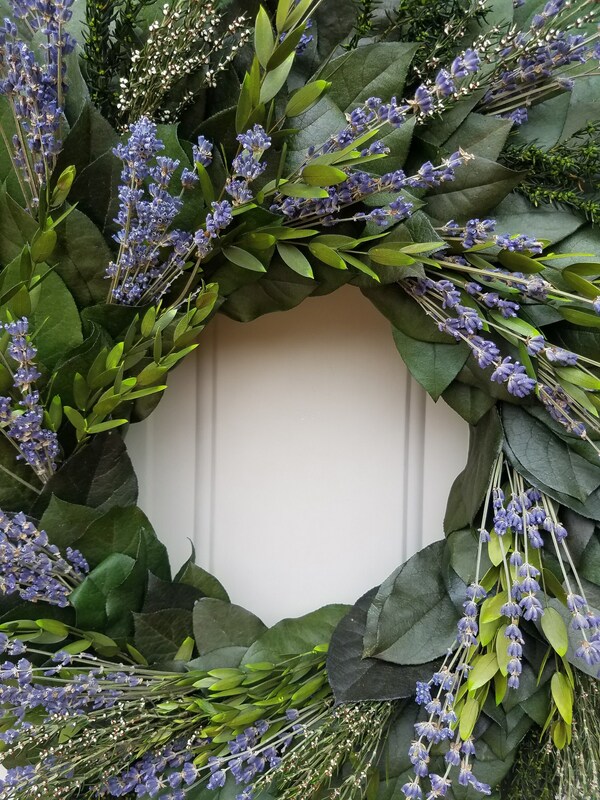 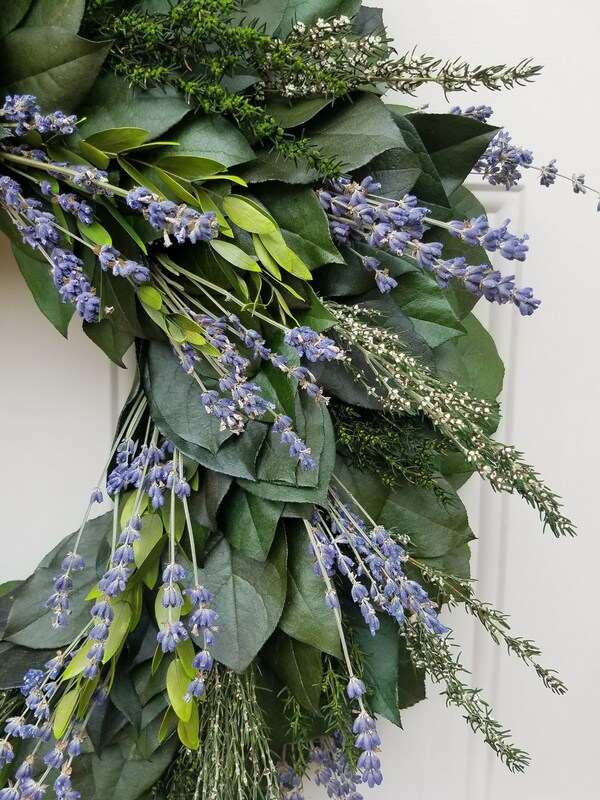 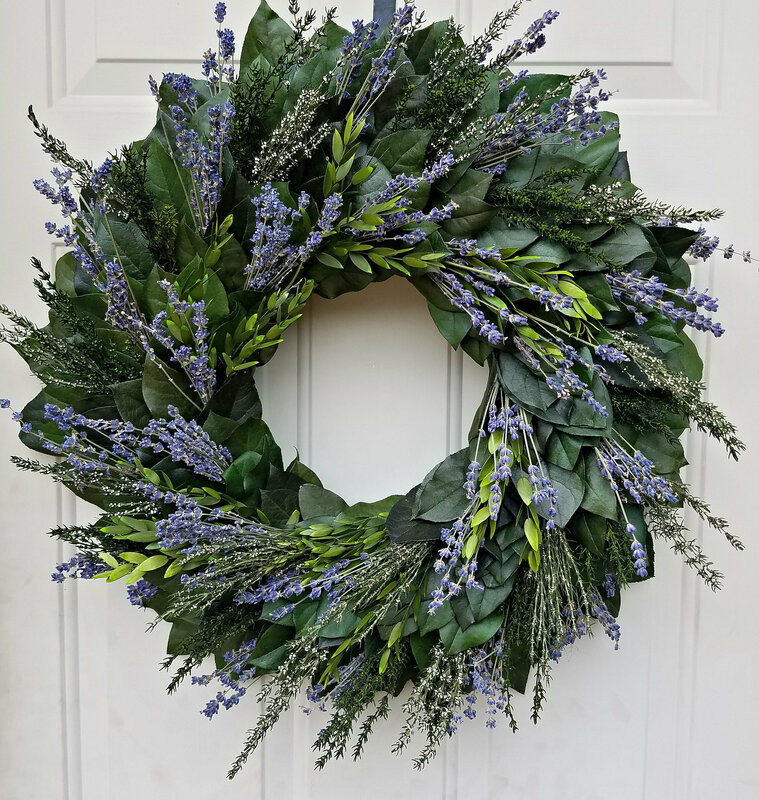 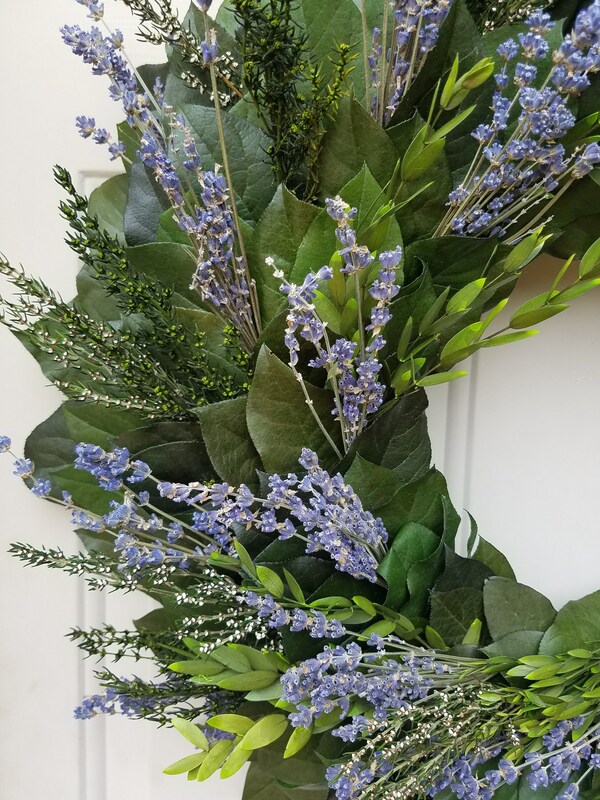 ******** This wreath should only be hung on an exterior door with a storm door as natural dried and preserved materials cannot withstand the elements including humidity and condensation. 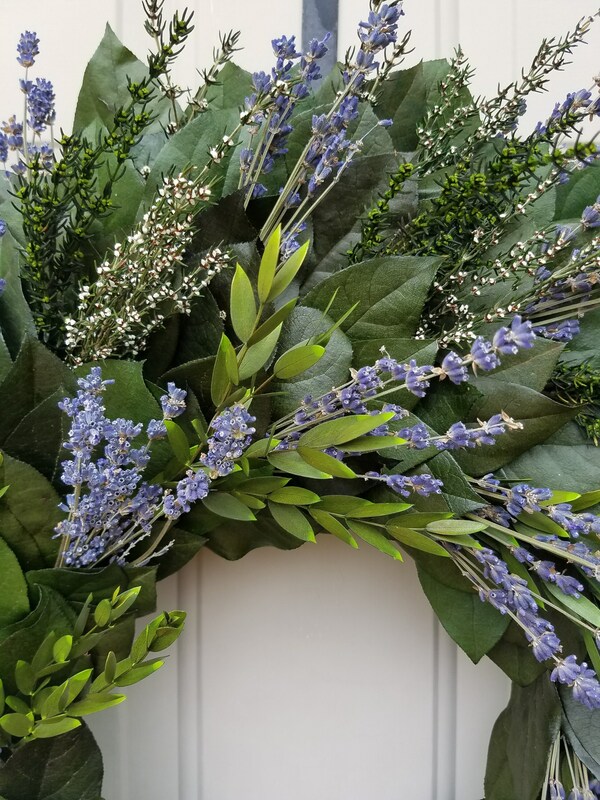 Wreath is made on a reinforced Styrofoam base which is cover with floral ribbon. 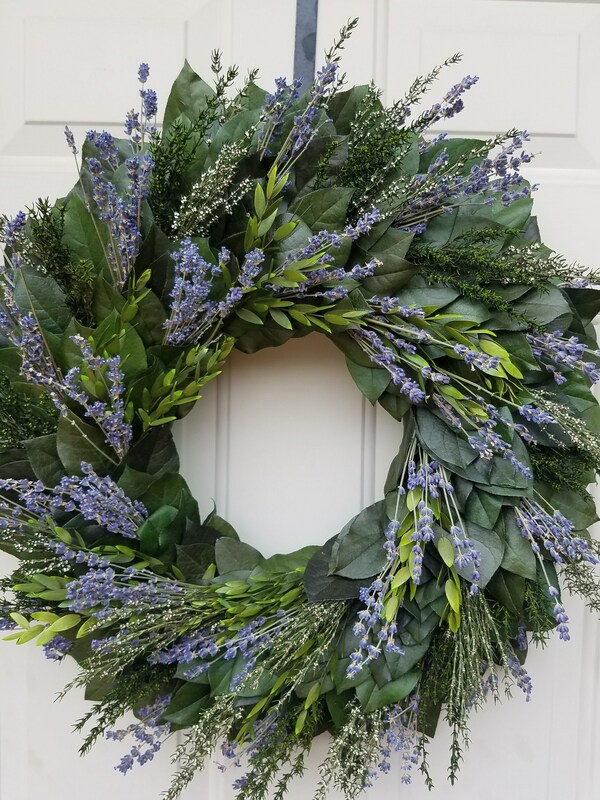 Wreath size noted is finished product tip to tip.